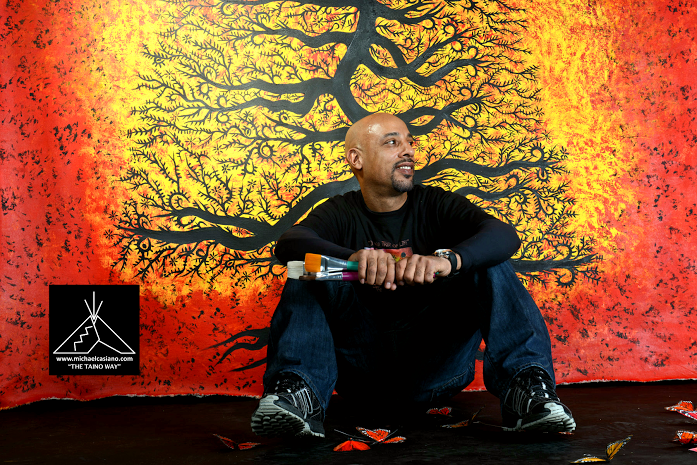 MICHAEL CASIANO: I would have to say that all my pieces are spiritual in their own way. There is no comparison to the spiritual meaning of each painting. Each piece has been created through the energy of music or the spoken words of an individual that has seen my vision and described their thoughts. 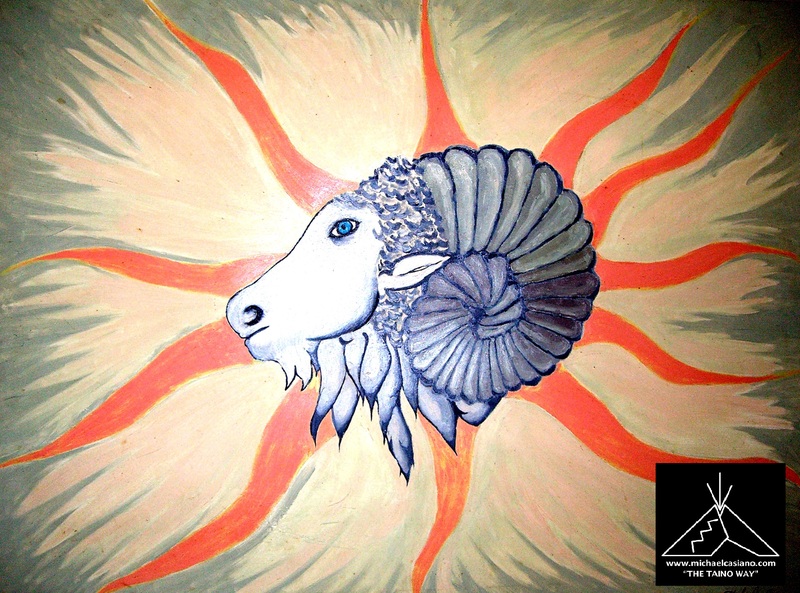 I always found that to be a blessing, to be able to channel into someone’s mind through my paintings. 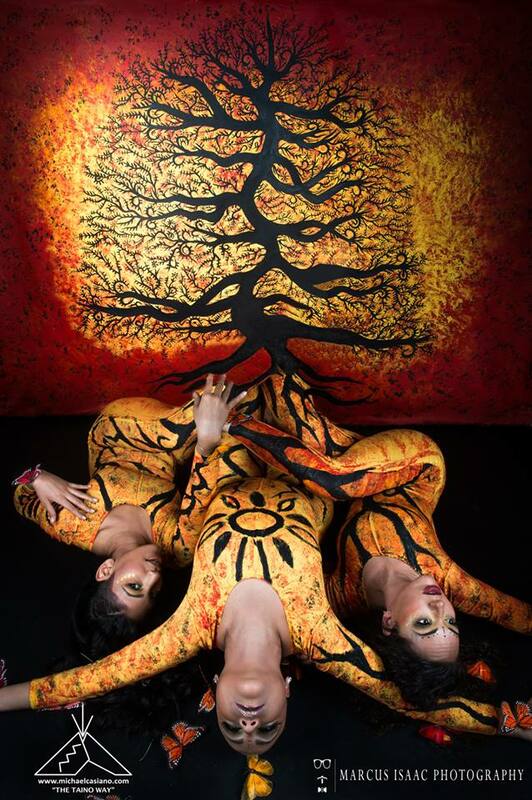 Also, Taino Indian and Native American culture inspire me greatly to create. INNER VIBRATIONS MAGAZINE: What are some spiritual practices that you do to keep yourself grounded, clear and focused on being the best Artist you can be? 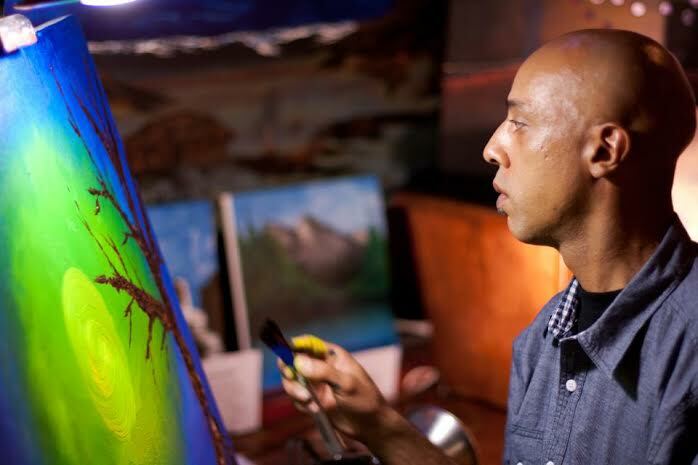 MICHAEL CASIANO: What I paint is who I am and what I believe, and that in itself keeps me grounded. I do meditate before I touch a canvas and I burn pure sage when I feel the need to. In fact, I feel that my Taino ancestors have spiritually guided me through my art experience, giving me the visions to share on canvas. As nothing is ever planned when I paint; I just paint what I feel in the moment. INNER VIBRATIONS MAGAZINE: What awards or art galleries have you been a part of and which was your FAVORITE – most memorable experience? MICHAEL CASIANO: I was able to hold my own art exhibition event in downtown Brooklyn at The Salsa Salsa Dance Studio where over 150 people attended. This had to be the most memorable event because it was something I could call my own since I organized it. What’s even better is that I was surrounded by many who have supported my work and have believed in me from the start. I sold most of my pieces that night, and the thought of knowing that some of my pieces were going to hang on someone’s wall at home or office space made me feel extremely blessed and excited! That’s when I knew I had to push forward and continue with new ideas. INNER VIBRATIONS MAGAZINE: After you pass away, what would you like to be most remembered for? 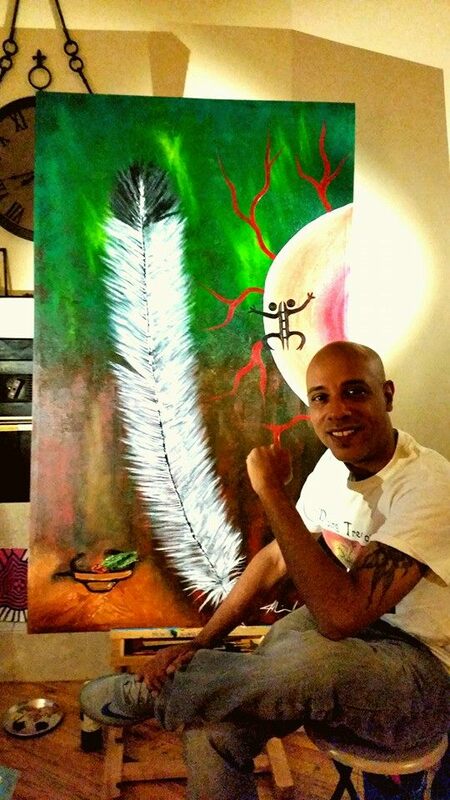 MICHAEL CASIANO: Art is my passion, and I would want to be remembered as The Taino Spiritual Artist that has touched the souls of many through my visions and creations. I also want to be remembered as a true person who appreciates all art forms, respects native culture and what I represent: The Taino Way.